GymRatZ Commercial Gym Equipment - Iso Leg Extension Station. Not a prefered item of mine as I (Matt) think you get a much better motion and resistance when using a selectorised cable machine, however, some gyms prefer it. So if you're after an Iso Leg Extension Station, you won't find any better than this. 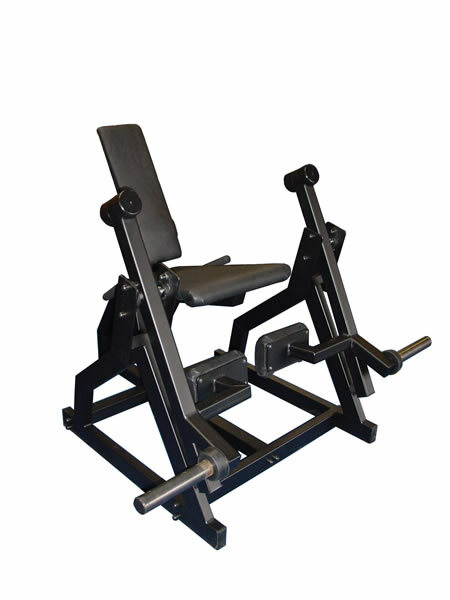 GymRatZ Iso Leg Extension Station has thick upholstery and framework's constructed from heavy gauge steel.